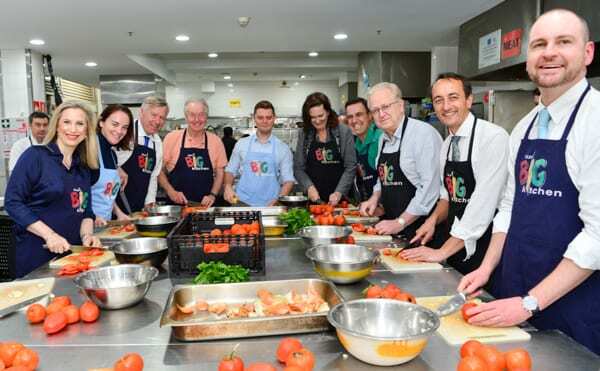 The nine members of Liberal party contesting the nomination for the candidacy for the upcoming Wentworth by-election in Sydney joined forces at Our Big Kitchen to prepare food for needy and to learn the art of baking challah. 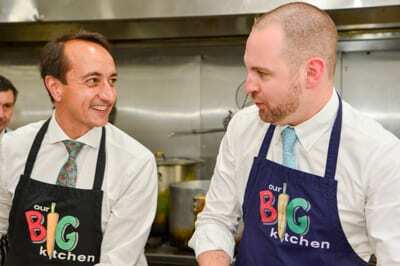 The by-election was called on the resignation of Liberal prime Minister Malcolm Turnbull whose electorate is home for a large Jewish community. 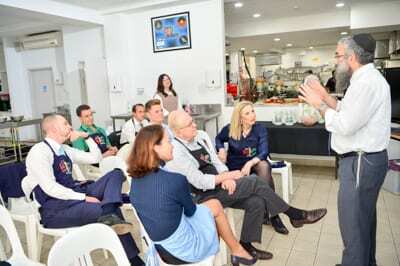 The CEO of OBK Rabbi Dr Dovid Slavin explained to the candidates of how the kitchen works six days a week preparing for cooks and bakes for the needy and for large institutions including the Westmead Children’s Hospital. 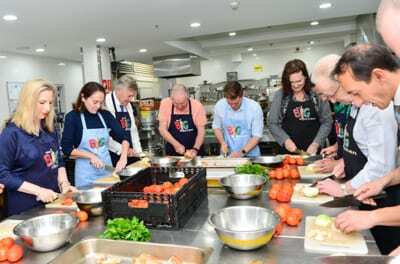 Following the briefing, the nine donned aprons and headed to the kitchen workbenches where they prepared vegetables. 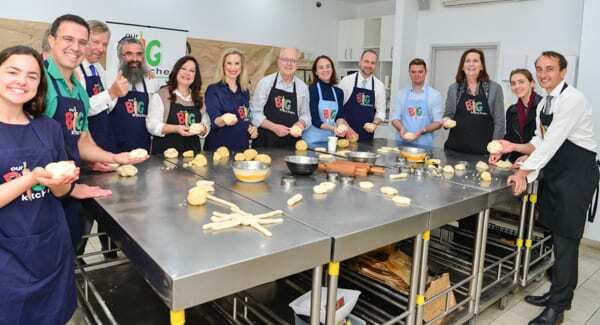 Next came the on hands demonstration of baking challah lead by Rebbetzin Laya Slavin as the candidates followed her moves. 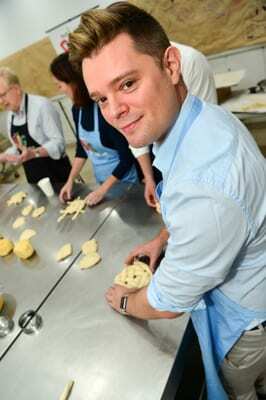 With the visit constrained by a shortage of time, all candidates took their challahs home where their ovens awaited. The preselection vote will be decided next Thursday. I hope they washed their hands, because no-one is wearing gloves.